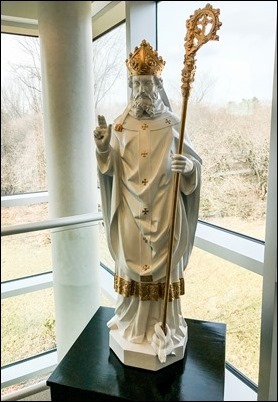 The winter months are often a time of year when many people are called home to God, and in recent days we have lost three fine priests of the Archdiocese of Boston — Father Paul Bailey and Father Vincent Maffei and Bishop Walter Edyvean. 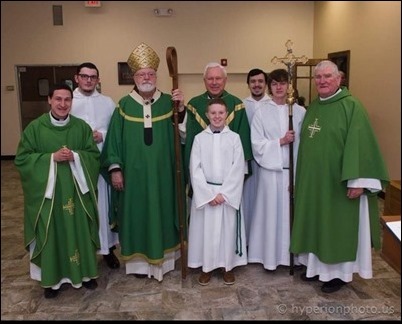 Father Maffei served for several years in the Metropolitan Tribunal and for 20 years before his retirement in 2008 was pastor at St. Mary in Randolph, where he was much beloved. He died last week, and his funeral was Thursday. Father Bailey had a graduate degree in social work, so he spent the early years of his priesthood working in Catholic Family Counseling Services and at Catholic Charities, where he was the director of different regional offices. 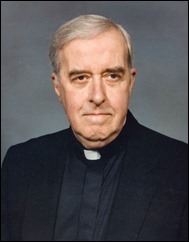 In the 1980s, he went on to be pastor at St. Michael Parish in Lowell and in the 1990s he became pastor at St. Peter’s in Plymouth. 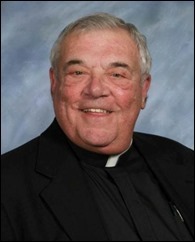 I know he had a great impact on both parishes. He died on Wednesday, and his funeral is next week in Plymouth. 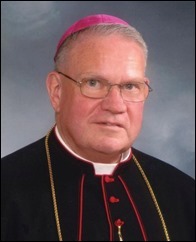 Bishop Edyvean touched the lives of so many priests during his many years as a seminary professor and running Villa Stritch in Rome, and of course, during his time as Auxiliary Bishop of the archdiocese. His death last Saturday was very sudden, and I was privileged to be with him when he died. His funeral was this morning. 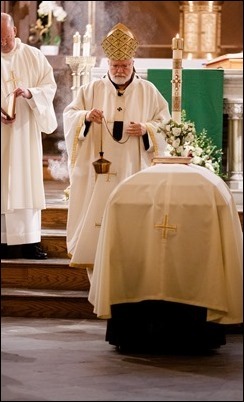 The dozens of priests and bishops who were with us was a great testimony to the impact he had. 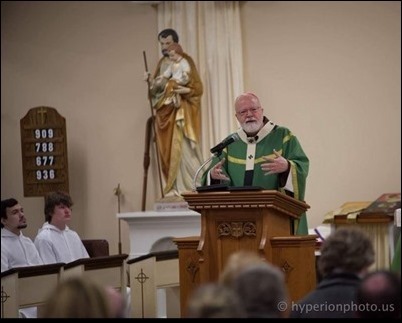 Father Stephen Linehan delivered a very touching homily, in which he recalled many fond memories of Bishop Edyvean. I also offered some remarks before the final commendation. I think the word most often used to describe Bishop Edyvean was “gentleman” — and he certainly was. We know that he will be sorely missed. Friday, I traveled to Washington to take part in a summit in response to the abuse crisis sponsored by the Catholic Leadership Roundtable. It was a gathering of about 200 lay and Church leaders from throughout the country to identify best practices and come up with concrete recommendations to address the current crises. 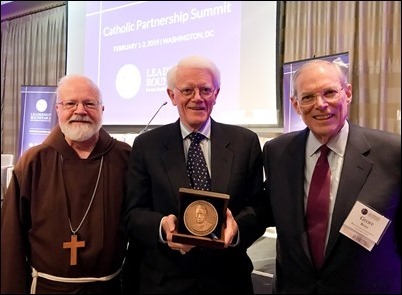 During the summit, there was a dinner at which the Leadership Roundtable presented Peter Lynch with their J. Donald Monan, SJ Distinguished Catholic Philanthropy Medal for his support of many philanthropic causes, particularly the Catholic schools in the Archdiocese of Boston. I was very happy to be there and be able to congratulate Peter on this honor. 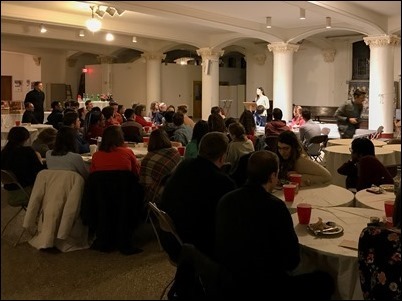 Saturday, I returned to Boston and, that evening, went to St. Paul’s Parish in Cambridge, where I met with FOCUS missionaries and other local college students who were involved in FOCUS’s nationwide gathering, the SEEK conference in Indianapolis. 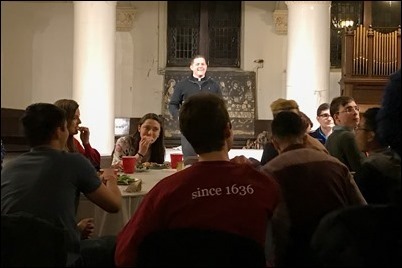 We gathered for evening prayer and a time of dialogue followed by a pizza dinner with the young people. The SEEK conference was held in early January, and I would have liked to have been able to go with them. 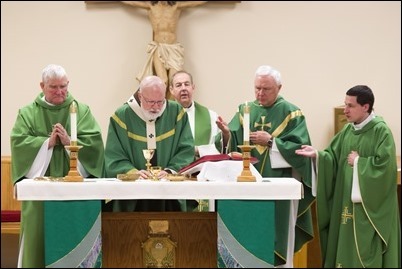 However, it coincided with the U.S. bishops’ retreat at Mundelein Seminary. So, this was an opportunity to catch up with them after the fact, as it were. Based on what they told me, it was certainly a wonderful experience for all of them. 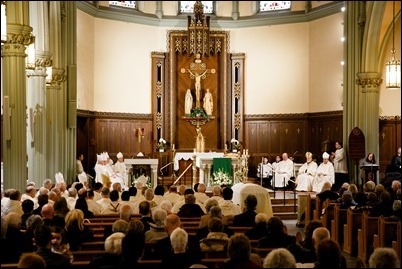 Sunday, I went to Our Lady of Lourdes in Carver to bless their new parish renovations. The church there is very interesting because it is in a former shopping center, and they have really created a very beautiful worship space bringing in new stations of the cross, statues, pews and other ecclesiastical refurbishments that they did not have before. It really is quite stunning. They have completely transformed the space into a very beautiful worship site. 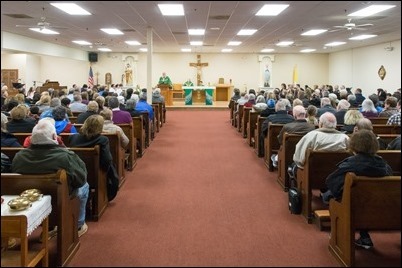 Afterwards, there was a luncheon reception with the parishioners, and many of them told me how pleased they are with the wonderful transformation of their parish. 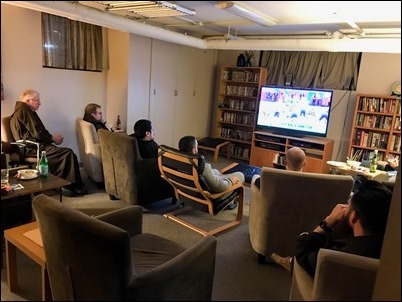 Sunday evening was, needless to say, the Super Bowl in which the New England Patriots took on the Los Angeles Rams, and I joined the friars at San Lorenzo Friary in Jamaica Plain to watch the game. We began the evening with a holy hour and Vespers and then shared dinner together before the Super Bowl. 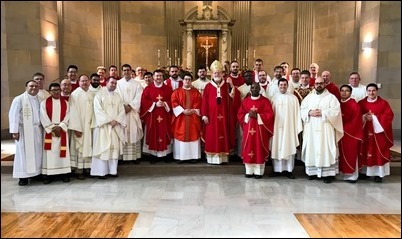 On Tuesday, I went to the Campion Center in Weston where our recently ordained priests were holding an overnight retreat. I joined them during the retreat for Mass, a meal and a time of dialogue. 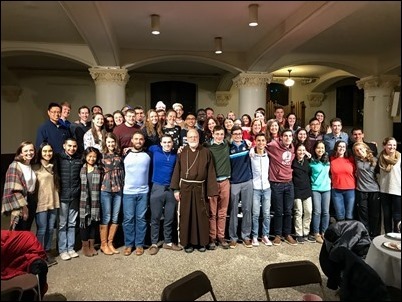 During our conversation, I shared with them my recent experiences at the March for Life and World Youth Day in Panama, and then we had a discussion about various aspects of priestly life and ministry. 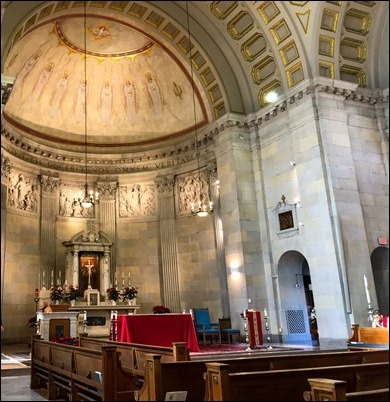 Wednesday, we had one of our regular meetings of the Massachusetts Catholic Conference at Pope St. John XXIII Seminary in Weston. 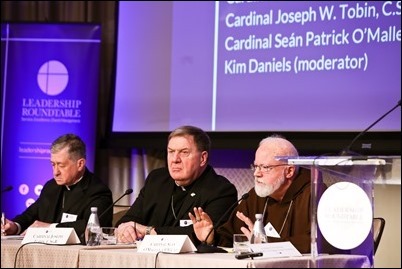 These meetings are an opportunity for the bishops of the four dioceses of Massachusetts to come together to discuss common challenges and issues, particularly social issues that face us as a state conference. One of the topics of particular concern during this meeting was the recent pro-abortion legislative initiatives in Maryland, Virginia and New York. 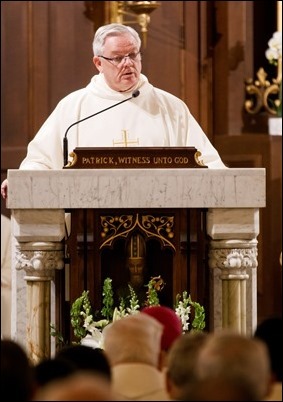 This week, the New York Times published an editorial by the Governor of New York who makes the outrageous claim that pro-life Catholics are trying to impose our religion on the country. Opposition to abortion is not a “Catholic issue.” We have no right to make Friday abstinence or the reception of Ashes on Ash Wednesday a legal obligation for all citizens. Abortion, like racism, anti-Semitism, and human trafficking are violations of human rights. Innocent human life should be protected by civil laws. Dr. Martin Luther King was certainly motivated by the Gospel of Jesus Christ, but he never saw racism as a “Baptist issue.” And people have not claimed that he was trying to impose the Baptist religion on the country. 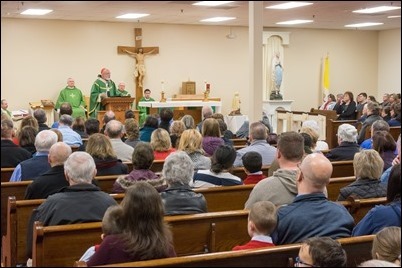 By the same token, pro-life Catholics can be deeply motivated by our desire to be faithful members of the Church, but we do not see abortion as a “Catholic issue.” It is a matter of defending innocent human life, and that is the obligation of all governments and all people whatever their religious affiliation might be or not be. The move afoot to allow young girls to have an abortion without parental consent and justifying late-term abortion is tragic. The eroding of the sacredness of human life is a slippery slope that begins with abortion, moves to euthanasia and then the elimination of the weak, feeble, and the “undesirable” whose lives are not as important and are inconvenient. Cheapening human life is to devaluate all life. When the abortion debate began, the pro-abortion advocates said it was impossible to know when human life begins. That has become a moot question. While science makes viability possible sooner and sooner in the pregnancy, abortion advocates want to keep moving the goalpost in the other direction. It no longer matters when human life begins. The Pro-Life movement is the largest grassroots human rights movement in the U.S. We must also continue to expand our effort to help women to be able to choose life in the midst of economic and social pressures to take the life of their child. Indeed, I wish to be clear that I recognize the difficult situations women often face in pregnancy. To stand for unborn life morally is not to stand against women in these tragic circumstances. Both the woman and the child deserve our support. Being at the March for Life is so reassuring. Young people, often the least religious segment of the population, are nevertheless the more pro-life generation. Despite the ugliness of the present effort of some to promote abortion, hope for the future is bright because more and more young people realize that abortion is not a religious issue. It is a matter of public morality and the defense of human rights. The day is coming when the abortion movement will find itself on the wrong side of history as the new generation embraces the protection of life.